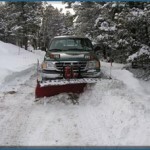 Angel Fire Snow Pushers offers a series of quality services for Angel Fire, New Mexico home owners including snow removal, property management, home repair and remodeling as well as absentee-owner services. 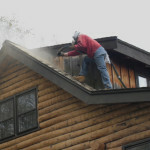 We know that for many, Angel Fire isn’t home year-round. As the premier management company in Angel Fire, we care for properties of all types – from the cozy one-bedroom to the most prestigious multi-million dollar property, while owners are elsewhere. Each property is cared for year-round. From snow plowing driveways to major home improvement projects we will arrange and supervise every detail so owners do not have to. Arranging key pickups or travel arrangements is a breeze and every task from the mundane to the extreme will be handled with care and diligence. AFSnowPushers offers a broad range of services to its clients, including residential, vacation, and commercial property management. We have successfully grown into one of the largest and most respected property management firms in the Angel Fire, New Mexico area while maintaining a tradition of individual service and commitment unique in today’s real estate market. By establishing a close, working relationship with each client, we form a partnership based on good communication and trust. It is our commitment to personal service that sets us apart with innovative and experienced professionals who successfully combine market knowledge with attention to detail.